Hudson's Bay has a hot flash sale today! 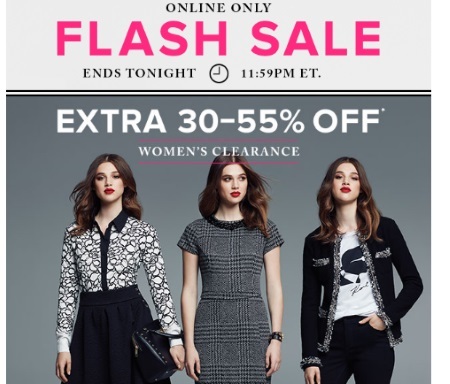 Save an extra 30-55% off Women's clearance items! Incredible deals on all women's items labelled Flash Sale. Prices are as marked. Offer is valid online only today, Wednesday, February 1 2017 until 11:59pm ET.